Sweden raised Amir Albazi (5-0) will face undefeated fighter local fighter Ondrej Moravec (2-0) at the Arena Sparta event. The Prague, Czech Republic features the London Shootfighters athlete on the main card which starts at 20:30. Amir Albazi has won by TKO in the first round over Ondřej Moravec. “The Prince” now goes to 6 wins and 0 losses, stopping all of his opponents. 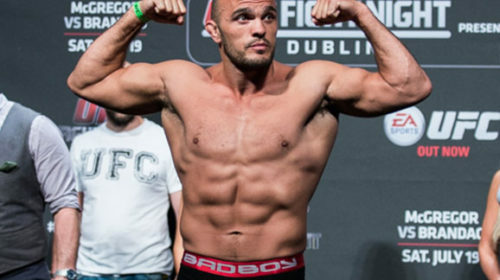 It is the Czech fighters first loss, as he drops to 2 wins and 1 loss. “I took him down and finished him from mount with elbows and punches. 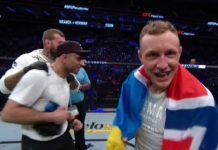 I am feeling great and already ready for new challenges!” comments the winner to MMAViking.com after the match.